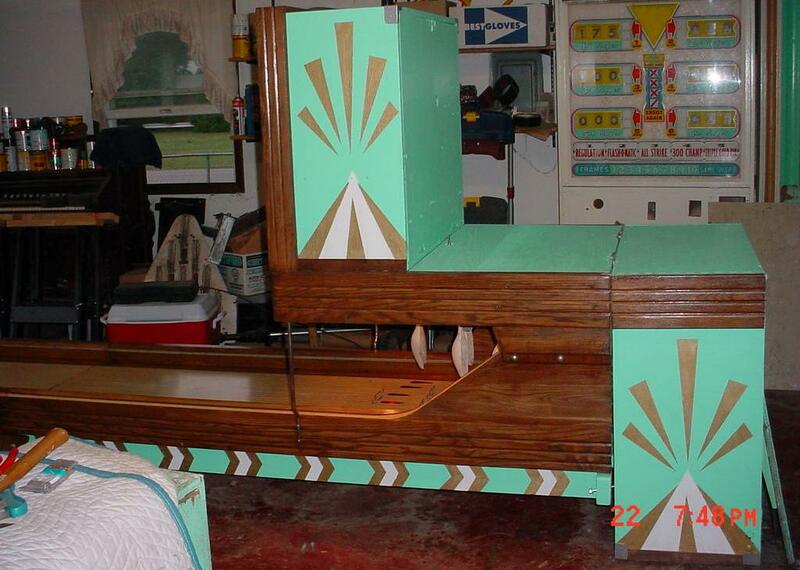 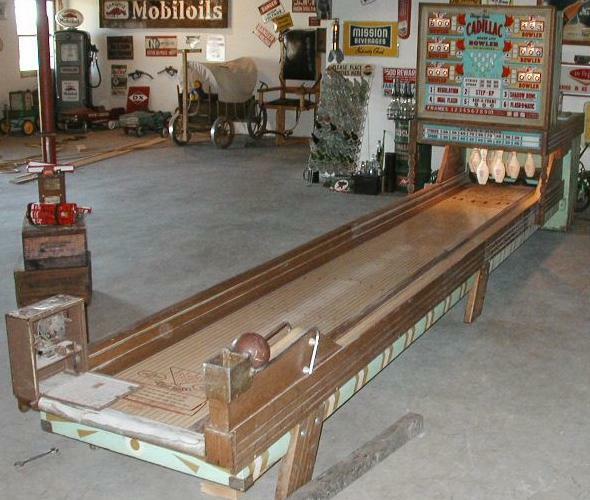 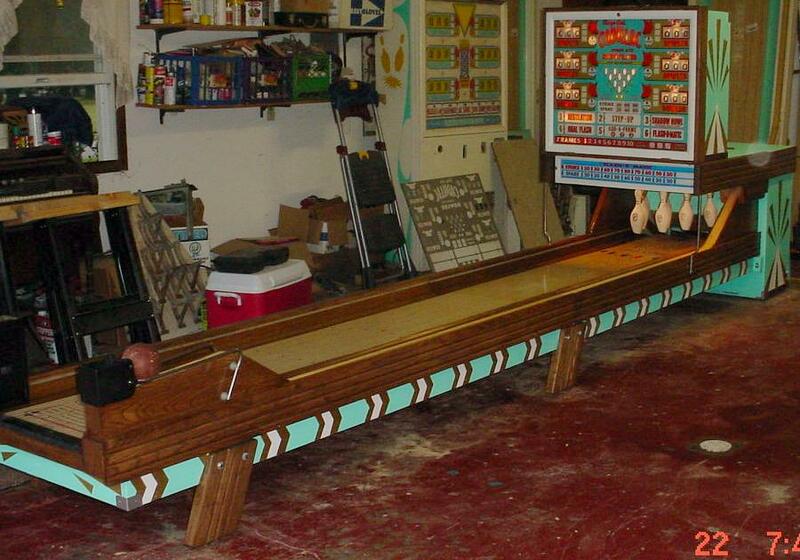 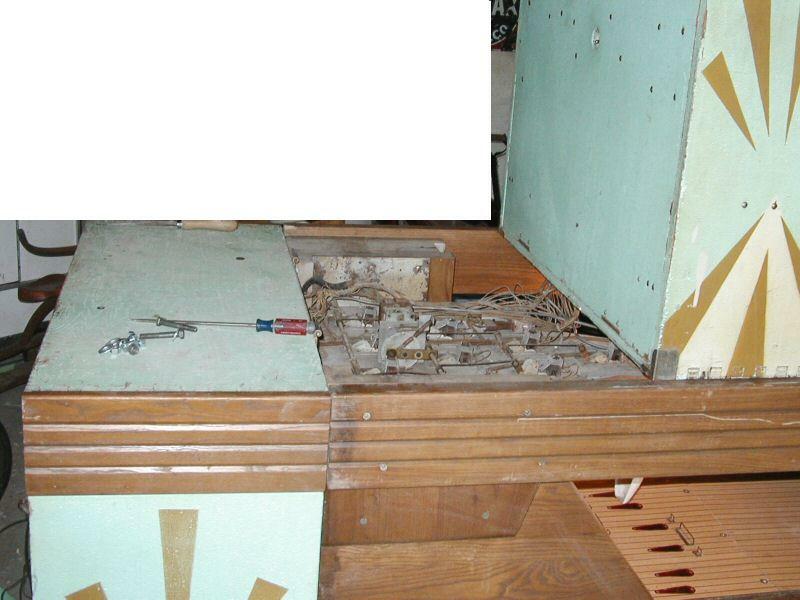 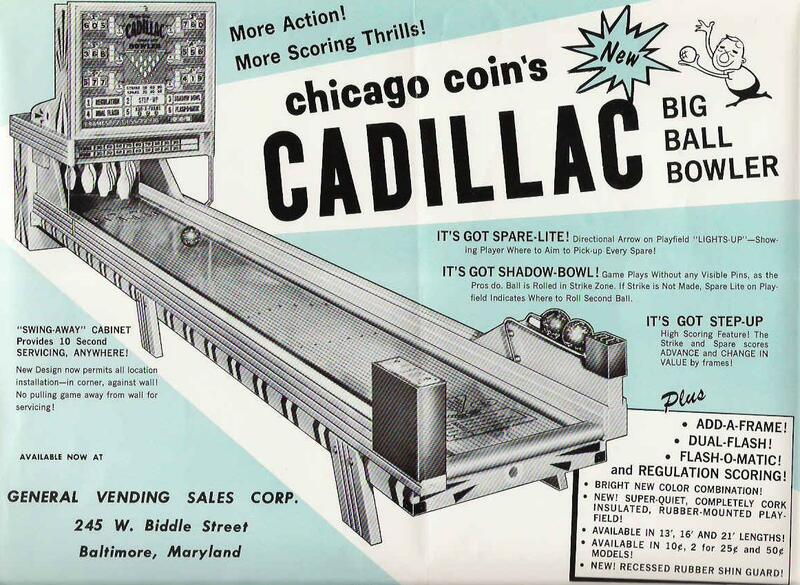 Description: Cadillac (bowling alley), Chicago Coin, 1/64, swing-away backbox cabinet for easier service ("outlaw sprint wing" or "Free back" style cabinet), 13/16/21 foot lengths, 6 games (Regulation, step-up, shadow bowl, flash, dual flash, add-a-frame), "spare lite" feature in both backglass and lane (games shows player where to shoot ball to pick up the spare), Fruit-wood stained lane oak. 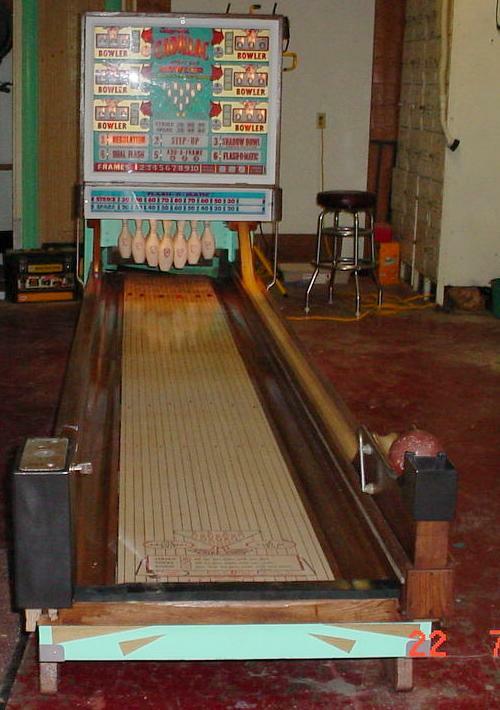 Very similar to 1963 CCM Official Spare Lite (six games slightly different). 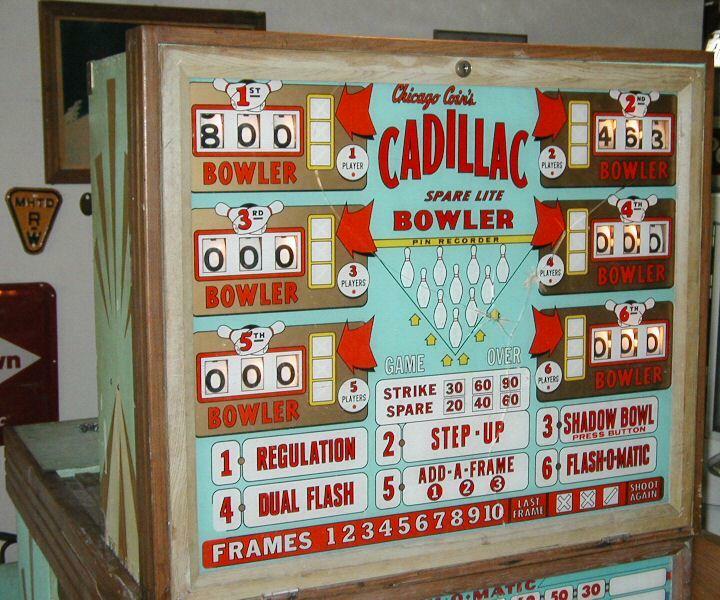 This game is missing its "outlaw sprint wing".